President Xi Jinping sent a strong message of pursuing open global economies, supporting free trade and building a multilateral trade system in a highly anticipated speech delivered at the APEC CEO Summit in Vietnam on Friday. He said the answer is clear to the question of whether to work together for regional cooperation or to be self-isolated, and he called for joint efforts to make a bright future for the Asia-Pacific economy. President Xi highlighted the importance of improving a multilateral trade system and pursuing shared growth through win-win cooperation. The president’s speech came after China’s announcement on Friday that it will ease market access in finance sectors including banks, security funds and insurance, and gradually reduce tariffs on imported automobiles. 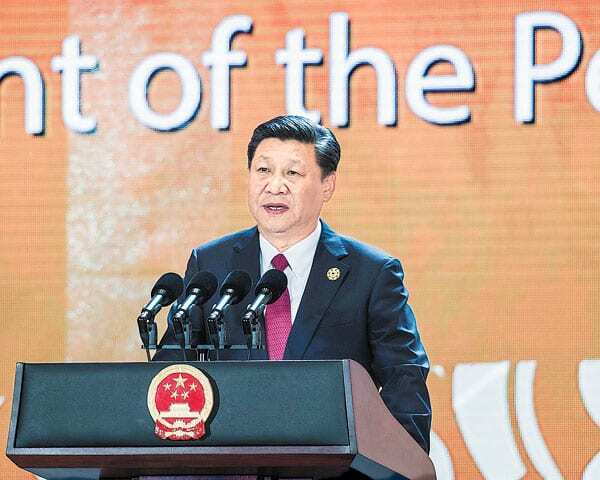 The Keynote speech delivered by the Chinese premier follows the meetings and reception that was held for the President of the United States last week. Where it was announced that both leaders agreed that cooperation is the only correct choice for Chinese and US relations. President Xi and Trump were seen negotiation and enjoying the lavish reception hosted by the Chinese to welcome the US leader and conclusively reached extensive consensus on the development of China- US relations during the visit. Promoting peace, stability and prosperity to the Asia-Pacific region was a key point that they discussed and agreed on and in Presidents Xi’s speech he outlined how much China will invest into the local region. Xi told the business leaders that in the next 15 years, it is estimated China will import $24 trillion worth of goods, attract $2 trillion of inbound direct investment and make outbound investment worth $2 trillion. He also addressed homegrown issues of poverty in China expressing his confidence and determination to achieve the goal of lifting all of the country’s poor people out of poverty by 2020. US President Donald Trump left Beijing on Friday morning as President XI prepared for his travel to the APEC summit in Vietnam and delivered his keynote speech in the evening to a rapturous applause.